Before I get going, I’ll let you read about today’s Movie & Munchies film, it is a great Netflix choice! Have you ever watched the people sitting across from you at a restaurant, hanging out at a park or shopping at the local grocery store? Sometimes, if you’re like me, you will listen to parts of conversations, pay attention to how they interact with others and even make your own assumptions about who they are and what their life might be like. People watching can be fun and fascinating. Discovering similar people and situations wherever you go can be a nice reminder that the world is much smaller than we realize. There are so many others that share the same types challenges, grief, monotony and excitement that comes with life. In contrast, when we experience people and places that are drastically different from what we are used to, we are also reminded of how the world is much bigger than we think. Travelling out of our immediate community, especially to another country or even watching a movie about cultures different from our own can be a stark reminder that we are just a small being on a giant planet full of rich variety. In 1992, Baraka, a documentary best described as a global moving painting, demonstrated the vastness of the world through voiceless images of nature and cultural tradition. Mesmerizing and epic, it could take several viewings to truly capture all that the film has to offer. 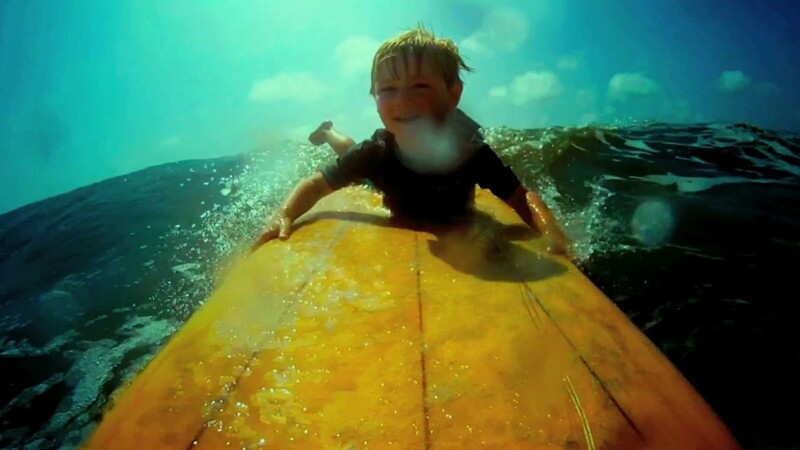 Life in a Day, a new documentary also about life around the globe, has a similar feel. However, where Baraka was filmed by a professional film crew traveling the earth to capture amazing images over a year and a half, Life in a Day was all shot in one day by the subjects of the film, you. Where Baraka reminds us of how massive the world is, Life in a Day attempts to make a more personal and relatable film. The producers challenged Youtube users around the world to shoot their life for one day and send in the results. July 24, 2010 was the day chosen, at least in part because it was right after the world cup, it was also a Saturday and a full moon. The overwhelming response led to over 80,000 clips that equaled an astounding 45,000 hours of footage from 192 countries, all of which was whittled down by director Kevin Macdonald and film editor Joe Walker to 90 minutes of viewing pleasure. The theme of the film was simple, show us your life in a typical day. Three questions were also asked: 1) “what is in your pockets,” 2) “what do you love” and 3) “what do you fear.” At first glance, there doesn’t seem to be anything particularly special about the clips, just daily routine for the most part, however, there is something extraordinary about the ordinary. In 2011, with cameras on our phones, the internet at our fingertips and reality shows on every channel, arguably we live in a world where video is overused and people’s lives are overexposed. Narcissism crosses your mind while watching some of the various clips here, but there seems to be something different about this film, something raw, unfiltered and honest. Life in a Day runs the gamut of some major aspects of life; birth, death, religion, politics, mundane daily rituals, love, loss, fame, violence, celebration, sadness, fear and much more. What isn’t seen may be the most compelling aspect of the documentary. We are introduced to so many different lives, we leave the film wondering about many of the people whose day is previewed and the outcome of their situations. Did she survive, did he find love, will they be ok with one less family member, what are the rest of their lives like? It’s ok not to know everything, in a way, that is the beauty of the film. While there is nothing groundbreaking here, there is something especially enjoyable about watching the reflection of life through the eyes and experiences of others and that is exactly what Life in a Day is, the ultimate people watchers movie. I loved watching Life In a Day, it is by no means a perfect movie, but it is hard to stop watching. I actually didn’t plan to sit down and watch, but caught glimpses of the screen and heard some dialogue from my computer chair. I went for a quick seat on the couch to watch a minute or two and didn’t move until after the dvd extras were played at the end. Jy, I mean Movie Fuel, didn’t mention what I found to be totally interesting. That is, the idea for this film came to the director after learning about the Mass Observation Archive Project in Britain. The Mass Observation Archive specialises in material about everyday life in Britain. It contains papers generated by the original Mass Observation social research organisation (1937 to early 1950s), and newer material collected continuously since 1981. The Archive is in the care of the University of Sussex and is housed in the Library in Special Collections. It is a museum which holds notes from everyday observers on everything from soccer to Nazis. Really interesting. Heat a skillet to medium high and drizzle in some olive oil. (If you are patient enough to saute some onions first, this would be where you’d want to do it.) Once the oil is hot, add the corn and beans. Add salt and pepper as you would normally (no measurements, just to your liking.) I used about 1/2 teaspoon of the garlic and chili powders, but again, sprinkle to your liking. If you like lots of spice, be liberal with the chipotle powder. Cook for about 5 minutes and add raisins and cheese. Cook another 2 minutes. 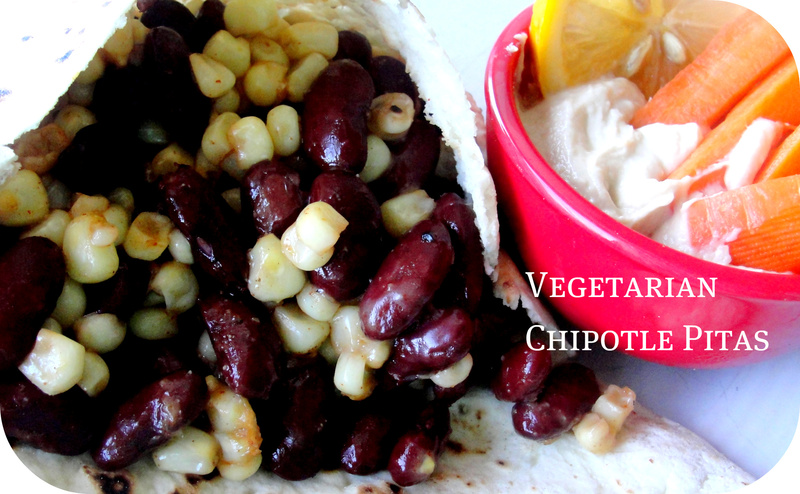 Scoop the mixture into toasted (totally makes a difference) pitas and enjoy! 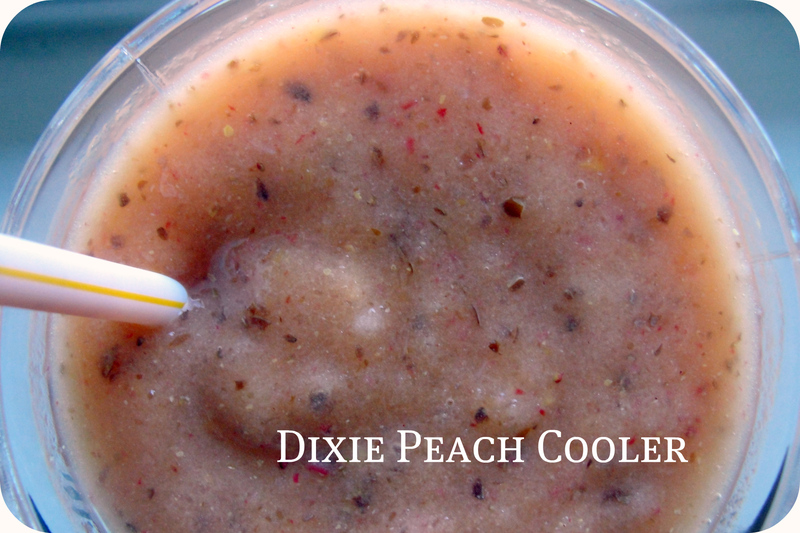 My pitas were pretty spicy, so I whipped up a Dixie Peach Cooler to cool things down. The kids sucked these babies down, too!